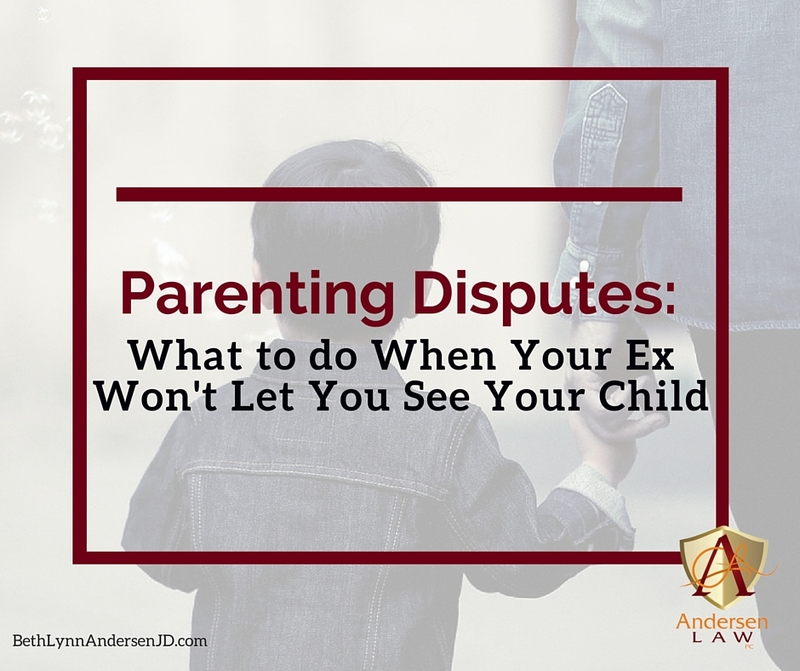 When a parent won’t allow another parent to see their child in accordance with a parenting plan or custody arrangement, often the injured party doesn’t know what to do. Fortunately, there are some ways to challenge another parent not allowing you to see your child or children. Both parents are required to comply with a court entered parenting plan. Colorado statute 14-10-129.5 provides a process and potential sanctions against a parent not adhering to the parenting plan. Require the parties to seek mediation and report back to the court on the results within 63 days. The court may approve any agreement reached by the parents or will schedule a hearing. Impose additional terms and conditions that are consistent with the parenting plan. Modify the previous order to meet the best interests of the child. Require either parent or both parents to attend a parental education program at the expense of the noncomplying parent. Require the parties to participate in family counseling at the expense of the noncomplying parent. Require the violating parent to post bond or some other security to ensure future compliance. Require that the injured parent get makeup parenting time under the same conditions laid out in the parenting plan. Impose a fine or jail sentence for the violating parent. Impose a civil fine not to exceed $100 per incident of denied parenting time on the noncomplying parent. Schedule a hearing for modification of the existing order concerning custody or the allocation of parental responsibilities. Anything else that may promote the best interests of the child or children involved. The court may also order a parent who has failed to provide court-ordered parenting time or to exercise court-ordered parenting time to pay to the aggrieved party attorney’s fees, court costs, and expenses that are associated with an action brought by the injured party. However, beware! 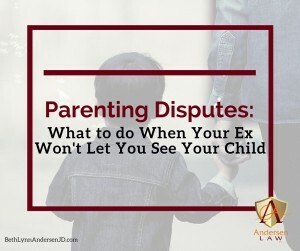 If the court finds that the parent did not violate the parenting plan, it may order the so-called injured parent to pay the court costs, attorney fees, and expenses incurred by a non-violating parent. When you call me for a free consult, I go to work right away. I will start giving you suggestions immediately and I will give you homework in that phone call to set you in the right direction. Questions about filing a motion complaining of a parent violating a parenting plan and what sanctions are available to the injured parent are completely appropriate for that kind of phone call. I will do all I can to help, and I’m happy to hear from you as you pursue your legal rights as a parent. Thank you to Laurinda Frederick for contributing to this article. Click here to go to the Colorado Judicial Branch website. Was this blog post helpful? Please spread the word!